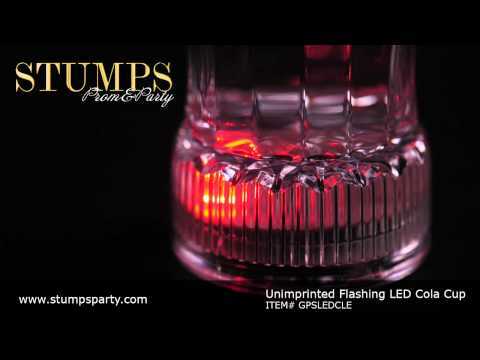 Light up your party with our Unimprinted Flashing LED Cola Cup! Our Unimprinted Flashing LED Cola Cup features blue, red, green and yellow LED lights. The Unimprinted Flashing LED Cola Cup has an on/off button that allows you to choose from three settings - constant light, multi-color flashing lights or multi-color racing lights. Each plastic Unimprinted Flashing LED Cola Cup holds 12 ounces and measures 5 3/4" high. The cola glass includes an AG13 battery which will last approximately six to eight hours. The base of the cola glass must be removed before washing.